Smartphones: luxury playthings or tools for improving not only our lives but also our planet as well? As you can probably guess that we here at AndroidPIT like to think our little Androids can do more then just help kill time with Angry Birds. 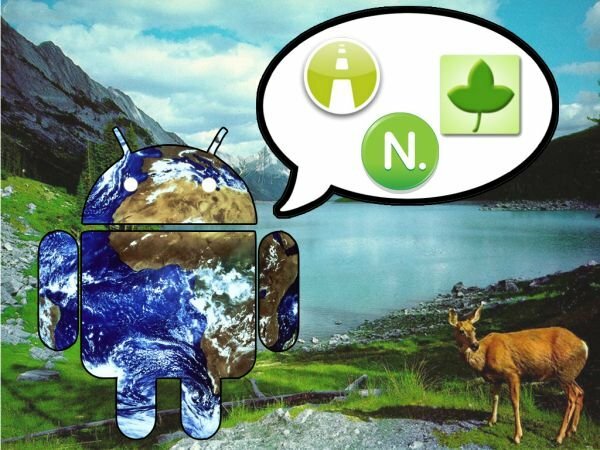 Thankfully, Android developers have also seen the green potential in Android and are hard at work developing apps that help save the planet and save you money at the same time. For your reading pleasure, we've put together a list of the four best Android apps that could just help you help save the planet. Today, getting where you need to go is easier then it has ever been before. By train, boat, car, bike or para glider, if you need to be somewhere it's easy find a way. But with all the options for getting from point A to point B, none can come close to the popularity of personal cars. But cars are expensive and not all that environmental friendly, which is where carpooling.co.uk comes in! Carpooling's app is based on the simple idea that travelling is always better in pairs and sharing the road is a great way to pass the time and save some cash while you're doing it. The carpooling app is the mobile version of the popular carpooling.com/mitfahrgelegenheit.de portal– Europe's biggest ride sharing site. Using their mobile app, you can find travelling buddies to split your gas money or people looking to hitch a ride. It's a great way to save some cash and reduce your carbon footprint. Unfortunately, the service is only available in Europe at the moment but hopefully the trend will catch on in America soon. And while were on the topic of reducing our carbon footprints, is there a better way to help eliminate our CO2 production then by reducing our power consumption? Green Power Premium is an app that promises to do just that. While the name might be a slight misnomer (it's not going to help you change over to renewable energy) it will help you better regulate your Android phone's power consumption which in tern helps you keep a handle on how much power you use in total (the most significant source of CO2 emissions from smartphones) and improve the battery life of your phone. After you've loaded Green Power Pro you can set your preferences for wifi, LTE or 3G data, Bluetooth, etc allowing your to control your phone in much the same way that Motorola's Smart Actions keep the RAZR Maxx's battery life long and strong. Ever wanted a calorie counter for CO2 emissions? Let's be honest. You probably never really thought about it. But the third app in our bundle might just help Android users develop good, sustainable habits much like the many diat apps that have help thousands with their New Year's resolutions. 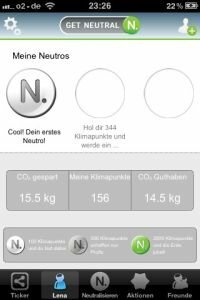 With over 200,000 entries in their data base, Get Neutral helps you get a hold of your environmental impact but measuring how much CO2 each product you use produces. What's more, you can also help neutralise the CO2 you produce absolutely free. And just how does Get Neutral manage to make a different with no cost to the user? By crowd sourcing environmentalism! 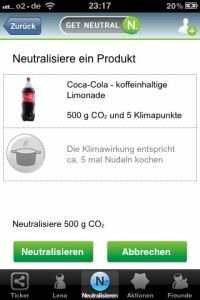 App users can vote on carbon reducing projects that then receive donations from participating companies; a real win-win for both consumers and the environment. 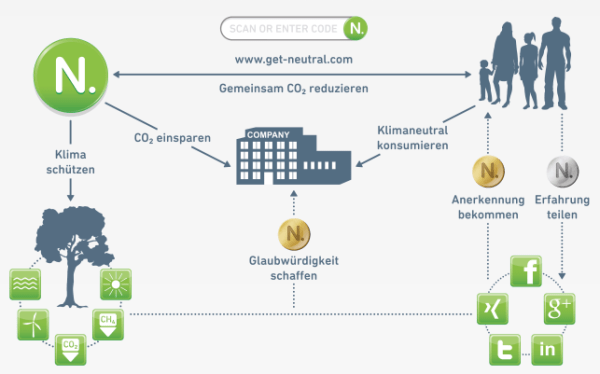 Get Neutral is only available in its native Germany, but if the pilot project is successful, here's to hoping Get Neutral goes international. Last but not least, a beta app from my home town. The Smarter Travel Program is the brain child of IBM Research and uses an app developed by IBM to anonymously collect data from volunteers. The Transit Planner Smartphone Application maps how participants interact with the public and private transportation options in Dubuque, Iowa and sends all collected data to a secure server hosted by IBM. During the course of the one year study, public authorities will use the anonymous data to better understand how Dubuquers interact with their urban space. The ultimate goal of the mapping program is to create a better, more efficient public transportation network that meets the goals of local citizens and does so in a more energy efficient way. 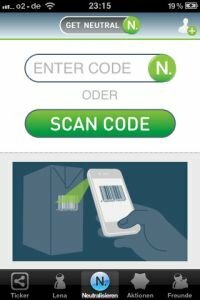 While the app is only in a limited beta testing phase at the moment, if the study is successful expect similar apps to roll out to cities around the US. Can smartphones make a difference? Yes, they can! While our little Androids might not save the world by themselves, smart consumers can use them to help make a difference in their daily lives. Did we miss any green apps that you feel should be in the list? Let us know about it in the comments or forum! We're always looking for new, innovative used for smartphone tech and would love to hear how you are using your Android to make your world a better place. Think so? I guess I come down on the side of better safe then sorry. Global warming... a bunch of hosh posh.